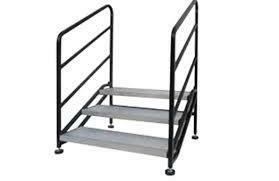 3ft x 3ft stage steps. Aproximately 2ft high. Can be combined with our stages to give an entrance and or exit to the stage.